How Many Times Do You Need to Work Out a Day If You're Trying to Lose Weight? How many times you work out per day to lose weight is not as important as how many calories you burn. A calorie deficit of 3,500, created through exercise and diet, results in a one-pound weight loss. 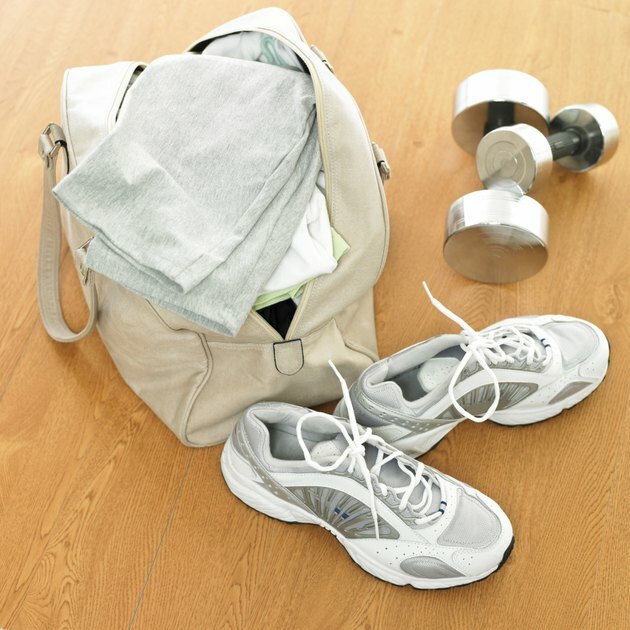 Your schedule, motivation and physical fitness are factors that will help you determine your exercise frequency. See your physician before starting any new exercise program. Although there's really no set recommendation for how many times you should exercise each day to lose weight, there are recommendations for how many minutes you should work out per week. Aim for a range of 150 to 300 minutes per week, suggests the Centers for Disease Control and Prevention. For weight loss, you may have to work toward the higher end of the range. You can decide whether you want to achieve your weekly exercise total in daily 30- to 60-minute sessions or multiple daily sessions of 10 minutes in length. Various exercise intensities lead you to burn more or fewer calories with your exercise choices. Since a deficit of 3,500 calories will result in a one-pound loss, you might want to burn 500 calories per day to lose that amount -- a safe weekly rate of weight loss. You can also burn 250 calories per day to lose 1/2 pound per week. Moderate exercises, such as walking, golf and horseback riding, will help you burn around 250 calories per hour. If you want to drop one pound per week, you'll either have to do these exercises for two hours daily, or break them up into multiple exercise sessions. More vigorous exercises, such as tennis, jogging and swimming, will help you burn approximately 500 calories per hour. Cardiovascular exercise is important for weight loss, but building more muscle mass with strength training can also help you meet your goals. As your muscle mass increases, your metabolism will go up, helping you to burn more calories even when not working out. Add two to three 20-minute strength-training sessions to your weekly fitness regimen. If you prefer to work out daily, you can cut the duration of your strength-training sessions in half and do them six times per week. Get a total-body workout with exercises such as squats, barbell rows, weighted lunges and pushups. For example, rest a dumbbell on each shoulder, keeping your hands there the entire workout, as you perform lunges. Take an exaggerated step forward with your right foot and sink into a lunge with both your front and back legs bent at a 90-degree angle. Push off your right foot to return to the start position. Do this and other exercises eight to 12 times each. Adding a calorie-reduced diet to your weight-loss plan can ease pressure to exercise multiple times per day. Just as you can burn 250 calories daily for a weekly loss of 1/2 pound, you can also cut that amount of calories from your diet for another 1/2-pound loss. Do so easily by drinking water instead of regular cola, using mustard instead of mayo and opting for lean turkey breast instead of a thick steak. Consume lean proteins, low-fat dairy, fresh produce and whole-grain foods to fuel your body for exercise.